DIY Your Own Epic Wood Card Rack — Constellation & Co.
By popular demand, I've got a DIY card rack tutorial for you! We originally spotted a gorgeous plywood card rack at the Moorea Seal shop. We thought, "Hey! That's gorgeous! I wonder if we could build one?" And because Brad is an A+ husband, he helped me craft our very own version. 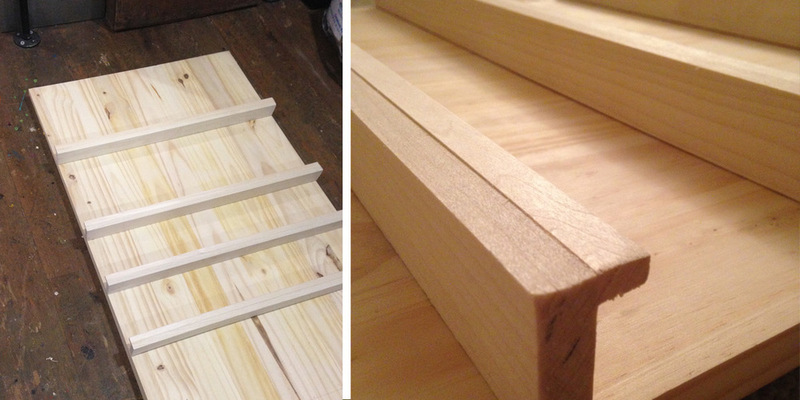 If you want your very own plywood card rack, to wow your friends and sell your cards, here's what you've gotta do. Step Five: Choose the height of your shelves. We did 17 shelves between the two boards, at varying heights for A7 & 4bar cards and 8x10 prints. The nice thing about DIYing these is that you can customize them completely. You can either nail the shelves to the boards or screw them in. We tried both, and found that screws made them more sturdy. Step Seven: Put your beautiful cards on the shelf and show those babies off! I went to Iowa and came home with fuel for the fire.